If you haven’t found that perfect Father’s Day gift yet, don’t worry. You can still get tons of the amazing Father’s Day gift ideas in our Father’s Day gift guide, so there’s that. But! You can also download these free, fun Father’s Day printables we found, for some of the very best (and easiest!) last-minute Dad’s Day gifting ever. And these truly are fun. Each one has a little something special that takes it from card-as-gift to real-gift-as-gift territory. Plus, all these Father’s Day printables are free and super easy. Last-minute shoppers: We’re here for you! Related: Creative DIY Father’s Day gifts that kids can help make. Oh, the sweetness! 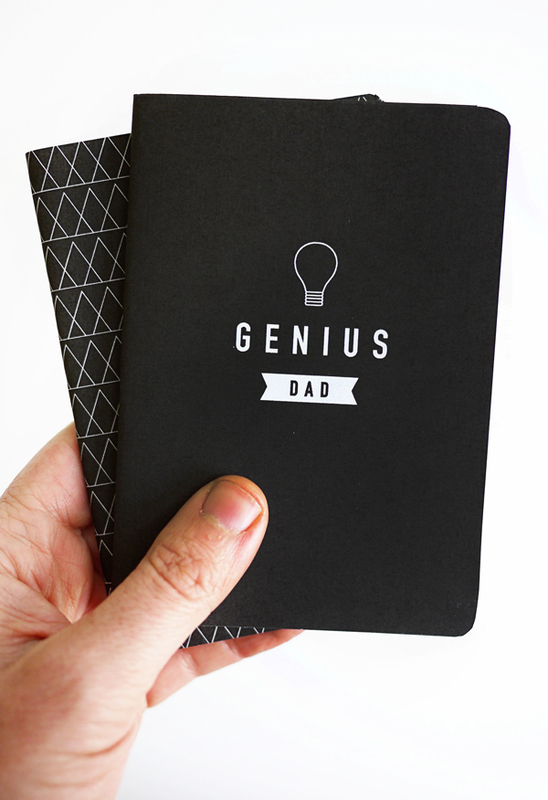 If your dad likes to doodle or take notes the old-fashioned way, he’ll be all over these slick printable notebook covers. 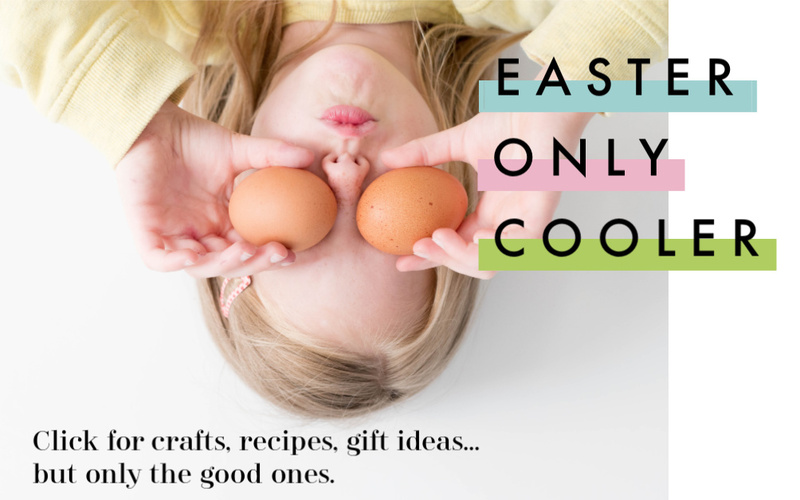 We noted last year that these free, fun Father’s Day printables are as practical as they are lovely…and pretty much every dad will be okay knowing how “genius” you think he is. 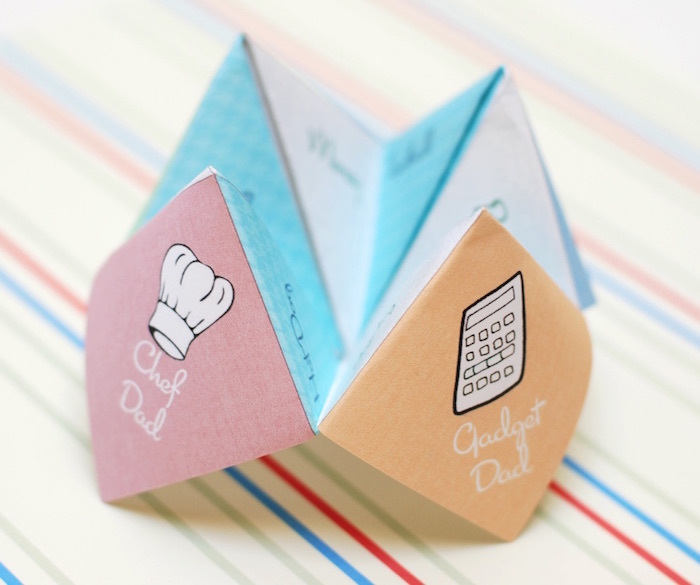 We will forever be fans of kid-made booklets filled with gift coupons, but this cootie catcher makes the idea even more exciting. 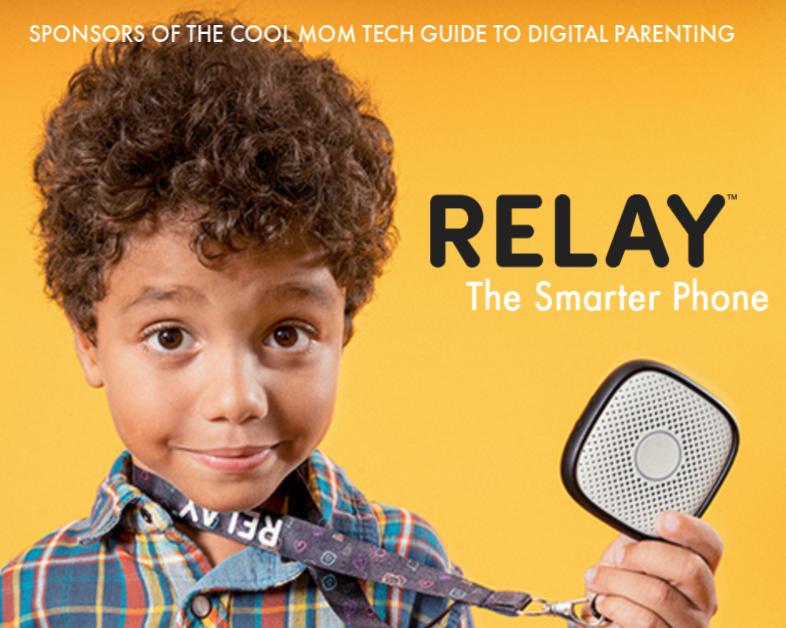 To start, Dad picks what kind of mood he’s feeling that day — Gadget Dad? Chef Dad? — and opens the corresponding panels until his present is revealed. 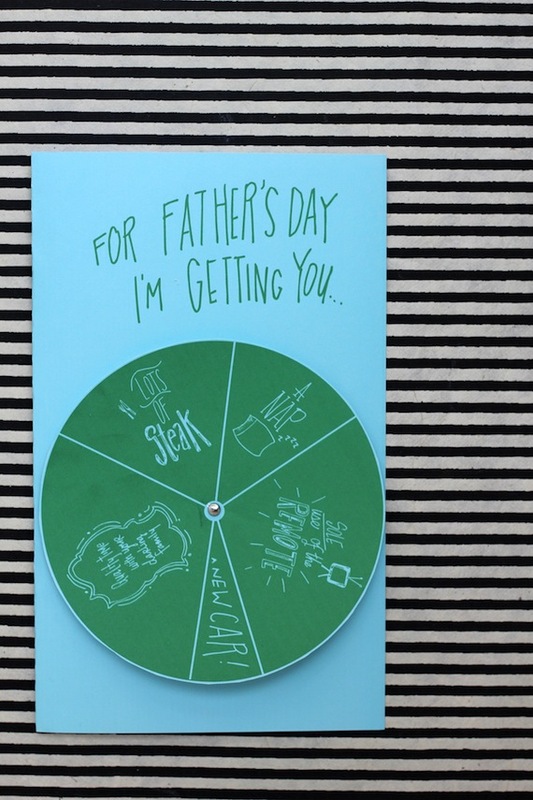 This clever card is kind of like a Father’s Day coupon book, only a lot more fun. Dad can spin it over and over again until he gets what he really wants, which — let’s just hope — is not a new car. Some homemade cookies perhaps? 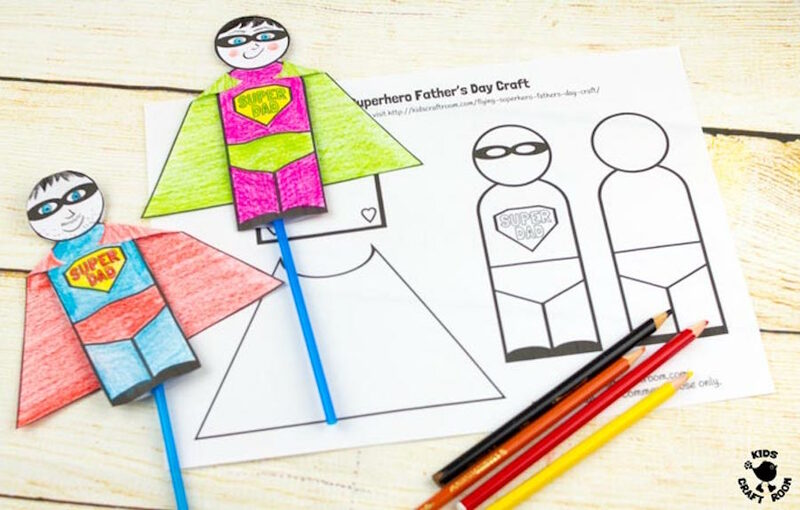 We all know Dad is a hero, and until the day he can really leap tall buildings in a single bound, we have these great Father’s Day printables to get him off the ground. Well, sort of. The paper superheroes really do fly, though, so click over to find out the secret. 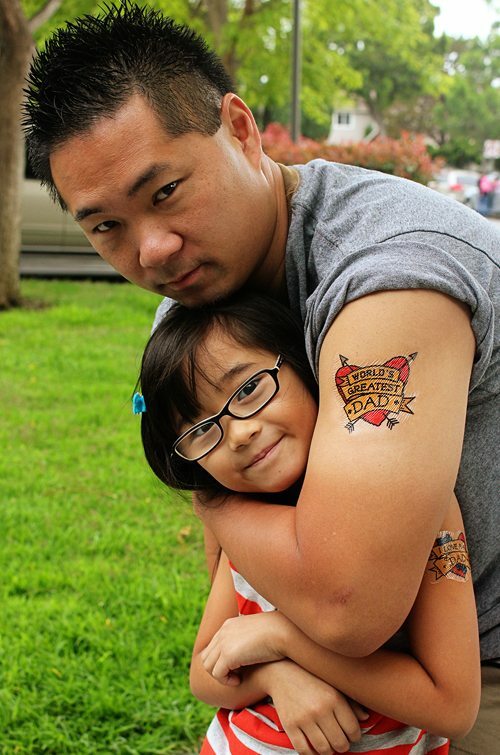 A few years back, we featured these daddy and me temporary tattoos as one of our favorite last-minute Father’s Day gift ideas, so now’s exactly the right time to bring them up again. 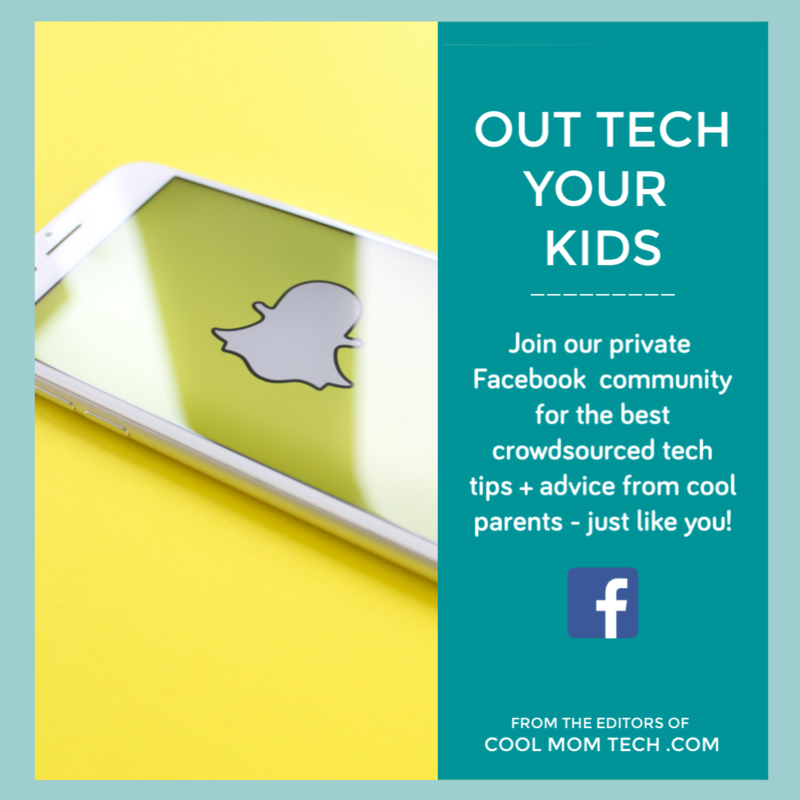 Check out Alpha Mom to see what materials you need (an easy trip to the craft store should do it) then maybe add a card: These tattoos are temporary, but you are permanently cool is my suggestion. 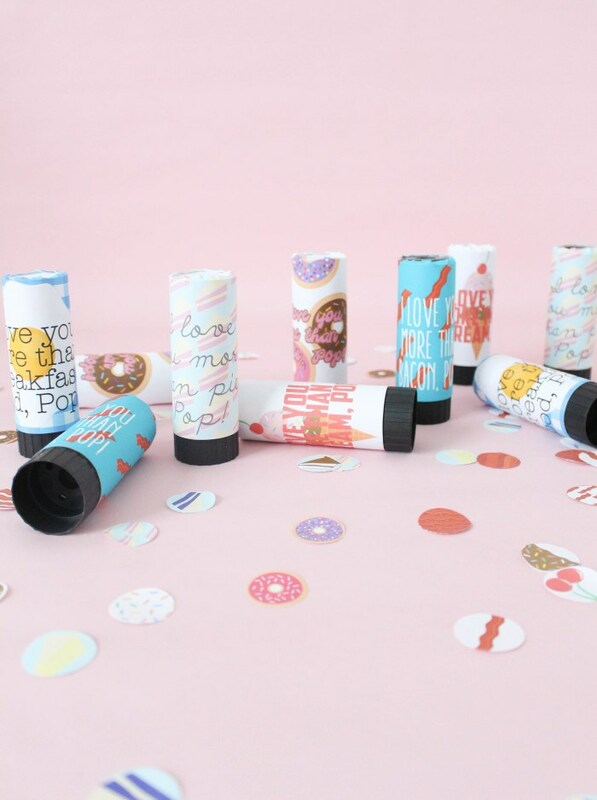 I just love everything about these Father’s Day poppers — or POPpers, which Malissa and Michelle at A Joyful Riot point out. 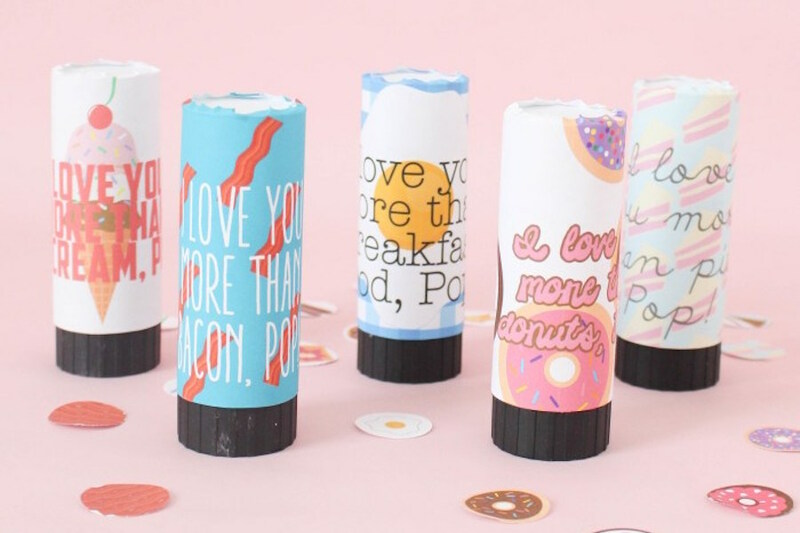 From the cute wraparound sayings to the printable confetti — there’s bacon! And donuts! 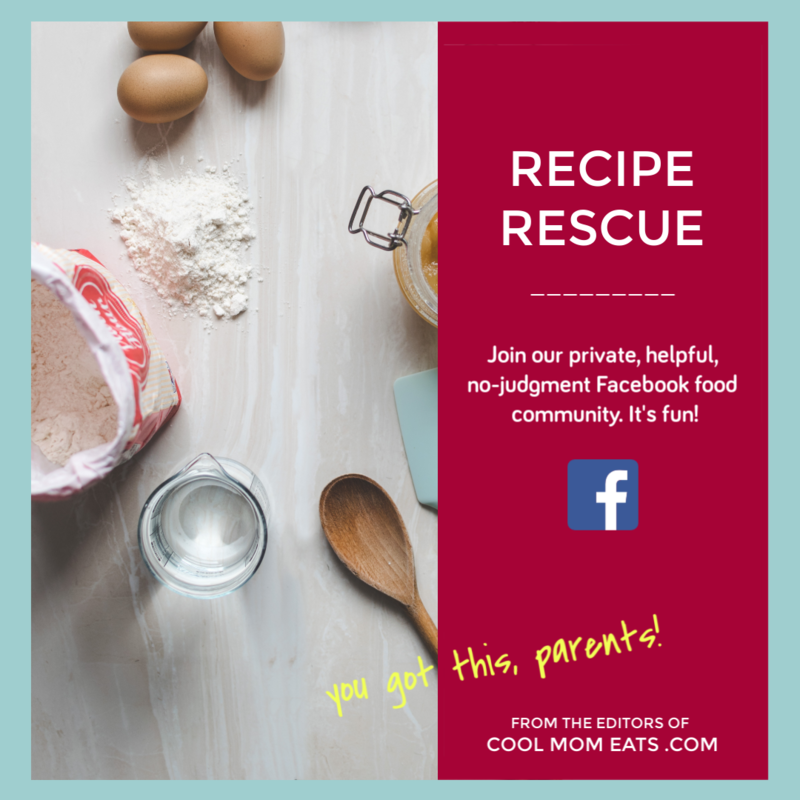 — they’re such action-oriented, celebratory Father’s Day printables that really become a memorable little gift. You do need to make one stop at the store to make them, and hey, there’s a second present for Dad built right in: Confetti clean-up. 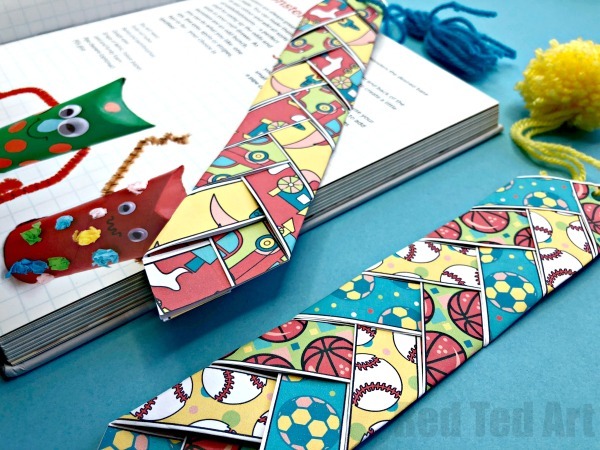 Are bookmarks fun Father’s Day gifts? 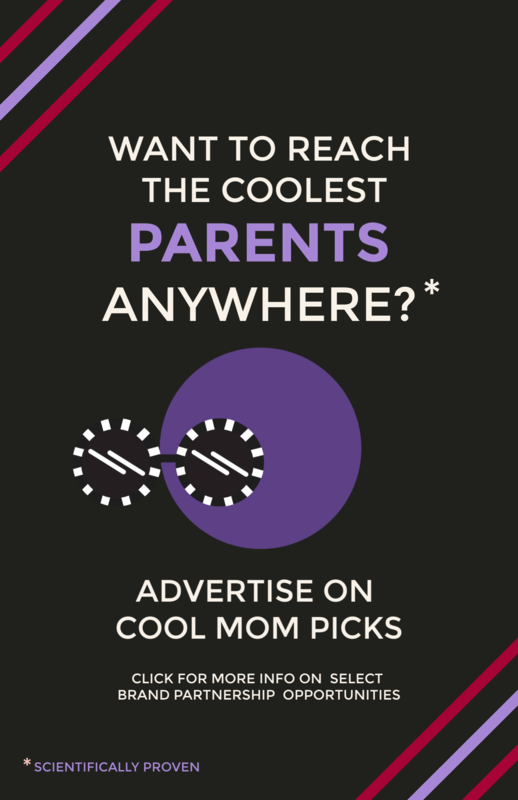 If reading is one of Dad’s top priorities, then heck yeah. And this printable Father’s Day bookmark makes it even more so. 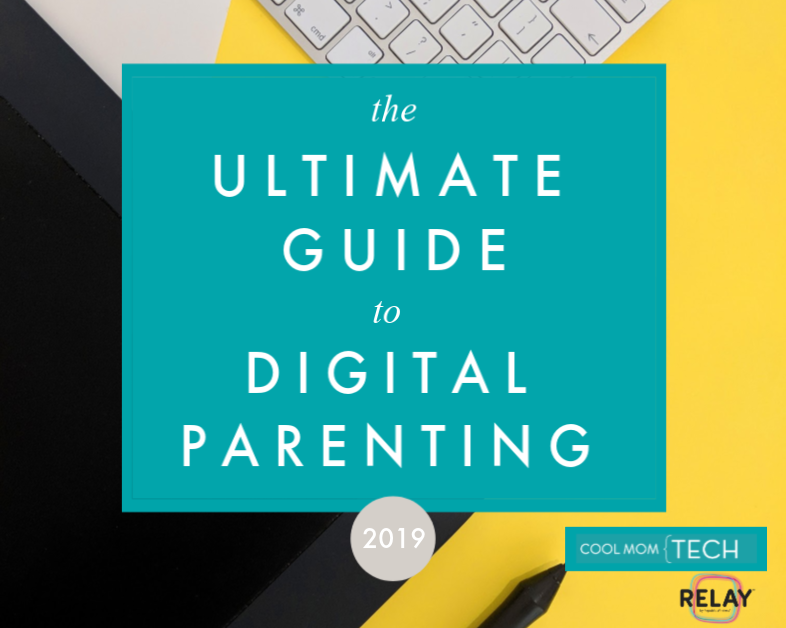 Just print out the strips and follow the weaving instructions to make a very cool tie that Dad will actually make use of — and better yet, include a favorite book. We’ve got a few suggestions throughout our Father’s Day gift guide. It doesn’t matter how old you are: Mad Libs are always, always funny. It’s a scientific fact. 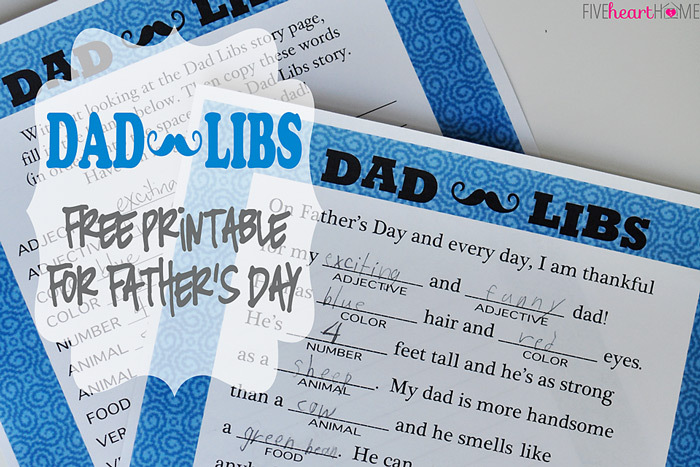 So these printable Dad Libs, dedicated to the man in question, are bound for gift success. 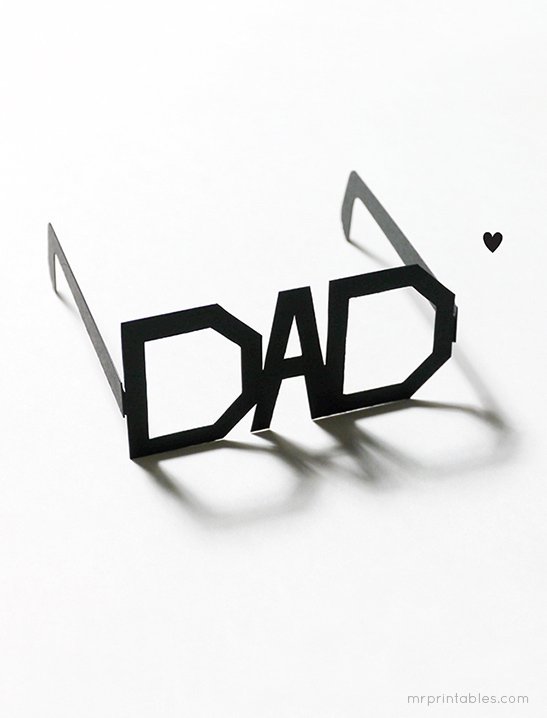 We’ve said it before, we’ll say it again: These printable glasses make an adorable last-minute Father’s Day gift that’s ready for Instagramming. I’ll bet you could cut out pieces of colored transparent paper to fit the eyes and tape them in to make sunglasses, too. Because, as everyone knows, when you’re a cool dad, the sun shines on you 24 hours a day.